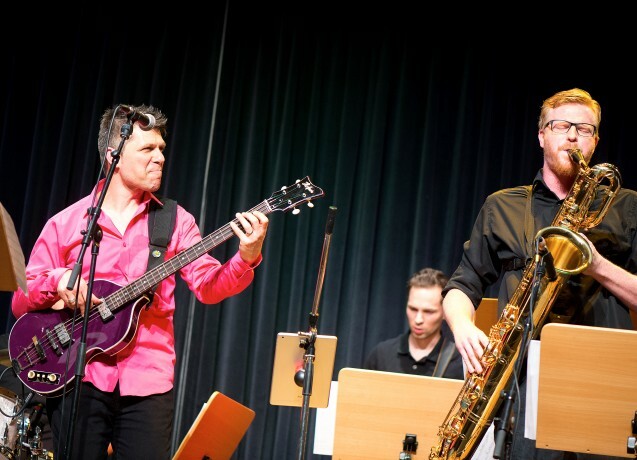 …His primary musical output is the jazz and funk outfit Redtenbacher’s Funkestra, who have gigged steadily for a decade and released eight albums, including this year’s Dr. Hypenstein. (A ninth, entitled The Time Thief, is being targeted for release later in the year.) Armed with a saxophone lead worthy of its own Ill Clinton video, “Baby Fat” is everything its title doesn’t imply: it’s lean, agile, and breathless in its groove. 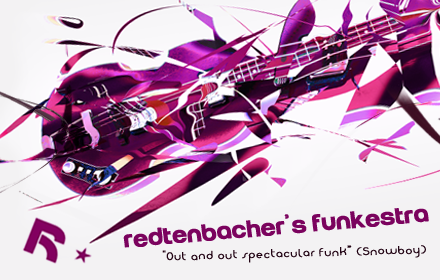 Redtenbacher clearly knows the tools of his trade, and they’re all here, from the Nile Rodgers-style licks to the vibrant, subtly propulsive bass underpinning it all. “Baby Fat” sounds like it was a blast to record, if not only because of its all-around explosive nature, but also because of the sense of sheer joy that runs through every explosive climax. Hypenstein was a hugely enjoyable collaboration on all fronts with my longstanding friend Thomas Feurer and I really believe we brought the best out of each other on this album – long may our collaboration last! If you want to get an insight into the making of the record just watch any of the 16 ‘Dr Hypenstein interview’ YouTube videos or simply enjoy ‘Swagger’, ‘Dr Hypenstein’ or ‘Babyfat’ with some very creative art and at time whacky video footage by Bulgarian, British and American videographers. Continuing my ‘Funkalmanach’: I’ve become a Hofner bass artist and have been loving my ’Princess’ since; performed my music with a fantastically motivated Big Band in Austria (thanks to Josef Hinterhoelzl und Andreas See); rehearsed some of my tunes with the excellent National Youth Jazz Orchestra (NYJO) and thanks to trumpeter Mark Armstrong some of them found their way into their live repertoire signalling a ‘left-of-centre-out-of-the-blue’ growing demand of Big Bands around the world wanting to play some of my music (charts went out to Holland, the US, Germany, Austria and last but certainly not least, the UK). As always, I tremendously enjoyed myself performing my music live with my most trusted Funkateers, namely Mike Sturgis on drums and Eran Kendler on guitar – our rehearsals at ‘The Funkshed’ are always hugely enjoyable – both for the music and excellent chat; Rob Fowler and Simon Allen on Tenor Saxophone; Sid Gauld, Paul Jordanous and Simon Finch on trumpet and Rob Taggart, Pete Billington and Steve Pringle on keys. A very hearty welcome to the newbies to the Funkestra in 2015, namely vocalist Lily Dior and keyboarder Pete Billington who forged memorable moments into our group’s psyche. Also a big thanks to the 606 Jazz Club and Steve Rubie for his continued support! I’m very much looking forward to 2016 with many ideas and plans spinning in my brain…more tangible events will be the release of ‘The Time Thief’, our 9th record, feat. a fantastic array of wonderfully talented musicians – musically one of my most ambitious albums yet. The steaming hot core band of the Funkestra is perfectly augmented by Prince arranger Michael B Nelson’s Hornheads and illustrious horn players such as Alfred ‘Pee Wee’ Ellis, Rick Margitza, Chris Hunter and Andy Snitzer – smokin’! 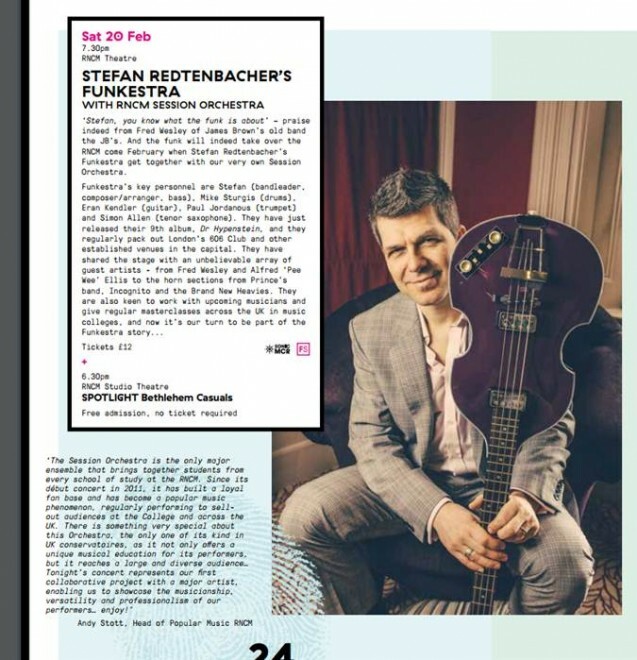 On Sat, 20th of Feb the Redtenbacher Funkestra will perform with the Royal Northern Session Orchestra at the RNCM in Manchester to give my tunes a most bombastic and funkified airing! I can’t wait – this is just too exciting! More details to come. If all goes well my hope is to perform large ensemble versions of my music in Austria with my new pals and anywhere else where they are ready for a Big Band funk blast! You’ll also see a brand-new website with a new section making it easy to purchase AudioSheetMusic™ (Funkestra backing tracks and corresponding charts) as well as my Big Band arrangements. Julian Black, my trusted webmaster, will no doubt pull out all the stops for this rendition of the site. Over the past year I have spent a good deal of time writing new tunes on my wonky saloon type piano for the jazzier sibling of the Funkestra – this sibling is called ‘The Red Counts’. I’m very seriously playing around with the idea of recording a Big Band album of these creations – working title: ‘A Little Book of Jazz’. I’m hopeful to convince my pal Peter Tomasso to adapt my tunes for Big Band as well as including some of his writing and brace myself for rehearsing and recording a Jazz Funk Big Band – I know – it is nuts – but I’m excited by the prospect – the idea and the tangible end product….that’s just how I’m wired…. Ready to be wired for 2016! A very happy, healthy and fulfilling 2016 to you all. 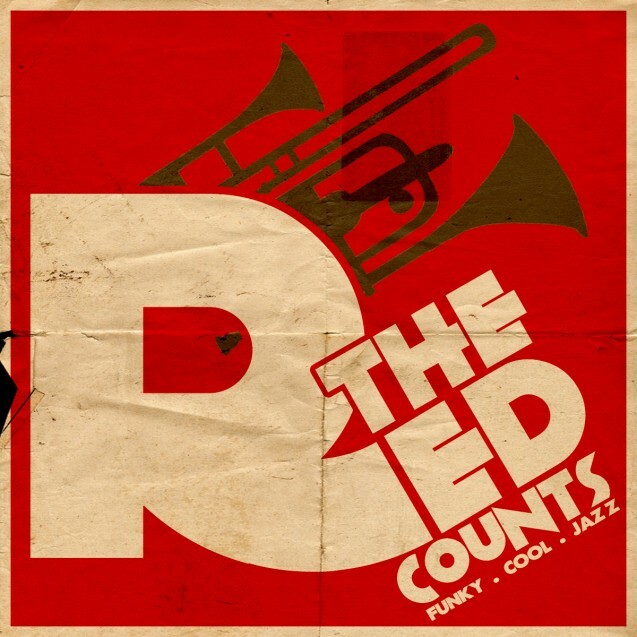 PS: ‘The Red Counts’ just love the Blue Note sounds of Rudy Van Gelder and their music has nothing to do with vampires, blood cells or Marxist ideologies. They play original funky Cool Jazz in the style of 1960s artists like Horace Silver, Lee Morgan, Jimmy Smith, Grant Green and Donald Byrd.